[Kim Seong-kon] Three cheers for The Korea Herald! Sincere praise and congratulations are due to The Korea Herald, which is currently celebrating its print-run of 20,000 copies. The internationally-famed English language newspaper is an undisputed window onto the world for Korean readers, and a no less valuable source of news about Korea for foreign readers. With its fast, accurate news and insightful articles on Korean and international affairs, the Herald maintains its reputation as a major opinion leader in the international community. One of the most remarkable things about the paper is that it is surprisingly well-circulated. Living in Washington, DC, for example, I have seen first-hand that the Herald is being widely read not only by major US government institutions and think tanks, but also by many foreign affairs institutes in the capital city of the United States. As the Korean Peninsula has been spotlighted lately due to its rapidly changing political situation and social milieu, many Americans who are concerned rely on English newspapers published in Korea for a local perspective. Indeed, the Korea Herald is broadly read by foreign diplomats and international residents in Korea, and is widely acknowledged as an excellent source of news and information about Korea for foreign readers. One of the things these diplomats appreciate and respect is the Herald’s admirable commitment to journalistic integrity. In a time when media face significant temptations and challenges to partisanship, the Herald has always been careful not to be swayed by any particular political ideology, making it trustworthy and reliable. Under these circumstances especially, The Korea Herald is an excellent, first-hand source of information especially for American politicians and policymakers. Moreover, as a member of the Asia News Network that comprises 23 Asian nations that exchange news and articles, it has an extensive network of readers in Asia as well. That means, The Korea Herald plays an extremely important role in letting the world know Korea and significantly informs international relations. Even judging from the large quantity of positive feedback I have received from various countries for the articles I have written for the Herald, I am convinced that the newspaper has many avid overseas readers who demonstrate a serious interest in Korean affairs. 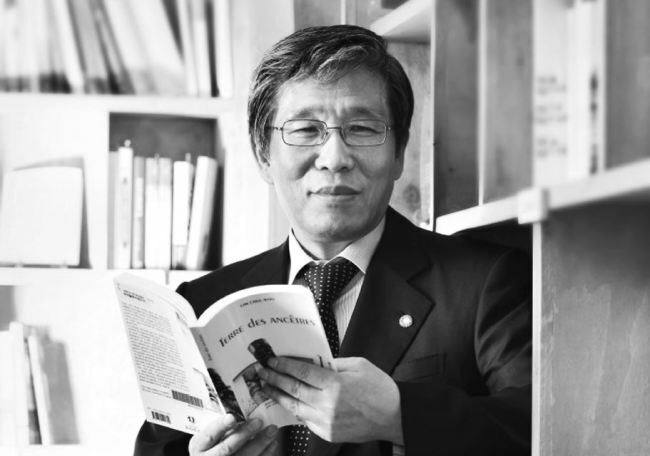 For other readers, The Korea Herald plays yet another crucial role. Ever since its inception, the Herald has been an excellent medium for students to learn English. In fact, it is well-known that quite a few foreign professors and teachers are using the paper as a text for class discussions at Korean universities, secondary schools and private academies. Reading the Herald, students not only improve their English proficiency but also develop critical thinking and a global mindset, not to mention developing their discussion skills in English. In this rapidly and radically globalizing world where English is a predominant global language, the importance of English newspapers cannot be stressed too much. In that sense, we should value The Korea Herald and be proud of it because it not only distributes Korean news and opinions overseas but also builds a cultural bridge between Korea and other countries by bringing international news and events to Korean readers. In that sense, we should appreciate what The Korea Herald has been doing to raise the profile of Korea overseas. Joseph Pulitzer once said, “Our Republic and its press will rise or fall together.“ As a representative English newspaper of Korea that remains committed to sober, well-considered analyses of national and international affairs, the Korea Herald surely does a fair job of keeping our nation on the rise and will continue to do so in the future as well. Thus, three cheers for The Korea Herald!